51 Parker Mountain Road Strafford, NH. | MLS# 4733631 | Homes for sale in nh, BobbyVan Realty can help you find homes in NH & Mass, information about the New Hampshire & Massachusetts real estate market. 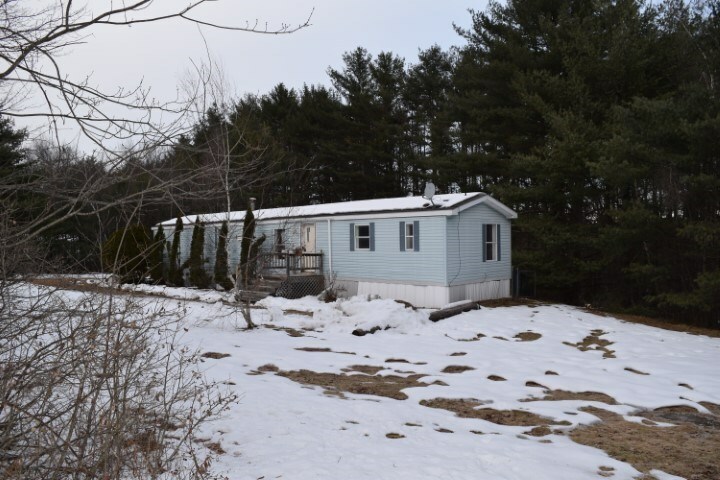 Price Reduction- Mobile Home in Strafford, NH on its own land of over an acre! Inside this 3 bedroom, 2 bath home has an open concept kitchen with a Master ensuite Bedroom. This HUD Home- FHA Case# 341-086023 is available 2/21/2019. Bids due daily by 11:59 PM Central Time until sold by electronic bid only. Please make an appointment to view this home with a Real Estate Agent or Broker of your choice. Home is sold AS IS. Home is IE: Insured with Escrow Repairs. Escrow Repairs- TBD, Eligible for FHA 203K. Disclosures: State law requires Smoke/ Carbon Monoxide detectors be installed for properties having combustible fuel heaters/furnaces, fireplaces, hot water heaters, clothes dryers, cooking appliances, or an attached garage, but seller (HUD) is exempt from this requirement as a Federal Entity, Property is NOT located in a FEMA Special Flood Hazard Area but is listed as a moderate to low flood risk. Uses a septic system, well, and propane. Any required system repairs will be the buyer&apos;s expense, Manufactured home. Repairs: Remove debris noted in crawl space, Scrape and paint front door trim, Replace carpeting in bedroom, Repair electric meter panel pole. Missing electric meter.